Tom Brown played in the first two Super Bowls while with the Green Bay Packers. He also returned 27 punts and 7 kickoffs. 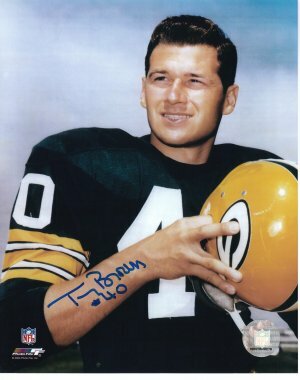 Tom Brown has hand autographed this Green Bay Packers 8x10 Photo. Certificate of Authenticity from Athlon Sports.